MORTGAGE HOLDERS WHO found themselves sold to a vulture fund by Permanent TSB will be asked to tell their story before the Oireachtas Finance Committee. Sinn Féin’s finance spokesperson Pearse Doherty said once the committee is back from the summer recess, it will be asking for a full session to be dedicated to the loan book sale. The sale to Start Mortgages – Lone Star’s affiliate – has been widely criticised by the Irish Mortgage Holders Organisation, Fianna Fáil and Minister for Transport, Tourism and Sport Shane Ross. Since the sale, a number of homeowners have spoken out about being shocked they were sold on. 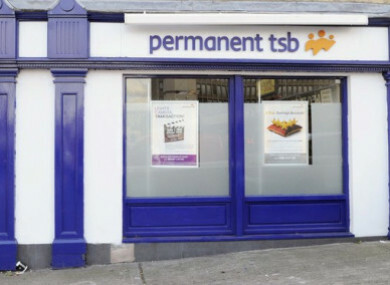 Many customers state they were engaging with PTSB, and were not in large-scale arrears. Speaking at the party’s think-in in Cavan, Doherty said PTSB had failed its customers, and taken the easy option of selling to a vulture fund. He said the government, who has a 75% shareholding in the bank, should have stopped the sale. Doherty added that vulture funds only have a “short-term interest” and therefore will not offer the same deals to customers as banks do. Doherty said “victims of the sale” will be invited to give their testimony before the committee, stating that members should hear how this sale has impacted on them, “not only on them personally, but also on their family”. He added that bank executives from PTSB will also be invited to attend. Email “Mortgage-holders caught up in PTSB loan sale to be invited to tell of the turmoil it has caused”. Feedback on “Mortgage-holders caught up in PTSB loan sale to be invited to tell of the turmoil it has caused”.